We mentioned during the end of our lesson of 出 that we are going to learn how to present the meaning of guest. We have to admire Chinese ancestors again that they represented such an abstract meaning with a very simple Logical Aggregate character - . It is quite straightforward that it means "walking ( ) towards gate of our house / place ( )", that is what a guest would do. 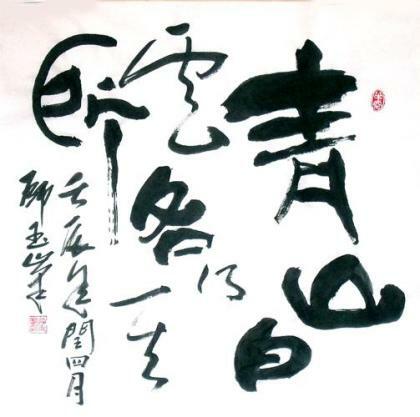 Since 各 is borrowed to present different meaning than guest, Chinese ancestors then created a new one in place of it. We will learn it in our next lesson. You can give it a guess? Its another Oracle Script added part to emphasize the extra meaning of "walking along the street". Modern writing 各 followed the simpler version though. Remember Radical 夊, it represent the meaning of foot or walking while being used to form other Chinese characters. And Please also remember original meaning of 各 itself as well. when you see some other Chinese characters, like 路, 赂 and etc, contains 各, it will help your understanding meanings of those characters.